During 2017, PLURAL Forum carried out a project of social analysis and investigations to be published by PLATZFORMA. The project was supported by Friedrich Ebert - Moldova (2016-2017). The main problem that this project aimed to solve is the absence of qualified debate on sensitive, difficult, important and relevant topics and policy areas in Moldova. Sometimes, the debate is absent because of the sophisticated, technical nature of some questions: the agreement with the IMF, for example, involved many macroeconomic and financial questions that are hard to understand for readers/commentators with no economic background. Other times, the debate is absent because of the partisan positions that “squeeze” the discussion into convenient boxes. By organizing thematic dossiers, we intended to overcome both difficulties: to have technical, sophisticated debates translated into an accessible language, on the one hand and to provide both an online (Platzforma’s website) and offline (public events in various spaces) platform for confronting partisan positions, different views of the same problems, etc. Additionally, we intended to bring into the public spotlight topics that are either ignored or consciously neglected, discussions that are being kept “quiet”. This way we want to make visible problems and groups that are otherwise marginalized or hidden. This project aimed to produce a series of thematic dossiers. 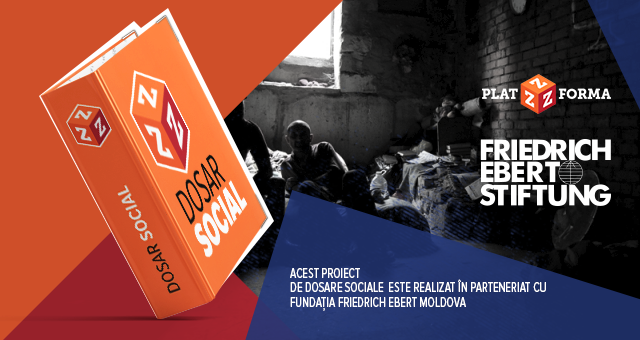 The dossier contain studies, investigations and analysis focusing on a number of pressing challenges that Moldovan society is facing today, such as the following: the oppressed and marginalized groups (migrants workers, women’s rights, ethnic minorities); poverty and social vulnerability; social welfare system; social, cultural and economic policies developed by state administrative institutions; Moldovan political field (see below the list of all themes). For this project of thematic dossiers and each dossier, Platzforma has launched calls for contributions, through which researchers and experts have been invited to contribute to various themed dossiers. These calls stipulated formal and content requirements for the elaboration of these studies. These requirements specifically refer to the timeliness of the issue, originality of approach, reflective and critical perspective, methodological issues (concerning data collection and analysis), ethical issues, and validation of results. Articles have maintained a balance between academic rigour and journalistic style. Each article proposal has been analysed by the project coordinators and editors (Petru Negură and Vitalie Sprînceană) and then discussed in advance with authors. Sometimes, other experts (authors themselves) have been contacted to evaluate article proposals and final drafts. Articles have between 6 and 10 pages each. Initially, in the frame of this project discussions were planned to aim at raising the public awareness on the discussed topics. Because many authors were abroad during 2017, it was difficult for coordinators to organise thematic discussions around the published articles. However, two discussions were organized about the issues of gender equality and work and migration. Besides these offline discussions, each article generated online conversations on the topic discussed in the article, on Facebook and on each article’s page. In addition, Vitalie Sprînceană, editor and co-coordinator of this project, invited some of the article’s authors that published within our thematic dossiers’ project to take part in the TV program („Contra-cultura”) that he leads at one of the most important local independent TV channels (TV8) and thus further expanded the discussion on the article’s topic. In these thematic dossiers, PLURAL Forum & PLATZFORMA have established collaborations and partnerships with community experts (investigative journalists, academic researchers, pundits), but also with organisations publicly taking a stance in various causes (non-governmental organisations, informal groups, independent trade unions). These collaborations and partnerships have strengthened the position of our organisation and PLATZFORMA project in the intellectual and academic community, but also in relation to most prominent civic activists’ groups of the country and region. The target audience of our project are various stakeholders; expert community; policymakers; journalists; entrepreneurs; intellectuals, students; general public. We believe we contributed to boosting, at the level of the Moldovan society, an informed, qualified debate about topics that are important for the society. In a journalistic field dominated by partisan media, affiliated to powerful business and political interest, we want to provide an open platform for discussion and debate. In the frame of this project, 32 articles have been published, under 11 thematic dossiers. 2) studies focused on specific problems and cases with local and regional relevance (but to be addressed in a global context). 1. Labour and vulnerability in Moldova. 2. The social welfare system in Moldova: a transition towards dissolution? 3. Gender relations, class oppression and cultural fights in Moldova. 4. Political Behavior and Ideologies in the Moldovan Political Field. 5. Politics, Economy and State Capture in Moldova. 6. Church, Society and the State in Moldova. 7. Interethnic Relations in the Moldovan Society: ethnic diversity, tolerance, and xenophobia. 8. Environmental issues between “ecologic culture” and vested interests. 9. Urban planning, politics, civic activism and public space in Moldovan cities. 10. Transnistrian Conflict and Relations between Centre and the Regions in the Republic of Moldova. 11. Migration and Moldovan Diasporal Communities Abroad. 12. The penitentiary system in Moldova. The texts address a specific issue or case, but with no claim to completeness. The dossiers have no a rigid, entirely predetermined structure, leaving room for analysis of “hot” current events, which have been reviewed and analysed as case studies in the dossier. The articles have been published periodically by the independent portal www.platzforma.md (concerning the project title and the financing institution). 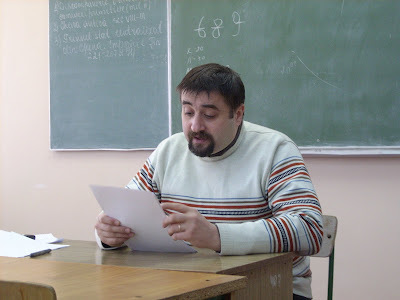 The articles have appeared in Romanian, but when the original text is written in another language, they were published in two languages (Russian or English) – in the original language and Romanian. After completing the series of dossiers, the most important studies will be selected, proposed to their authors for a final revision, drawn up by project coordinators and editors and published in a collective volume in electronic format. Being grouped in a small publication, the studies designed in this project will have in the future increased accessibility and circulation. We believe that the project has achieved its purpose and objectives. 32 analysis and investigation articles have been published within 11 thematic dossiers on social issues (gender, labour, social protection, ethnic relations, church), political, ecological, urban planning, migration, regionalism, and others. The articles have tackled, on several occasions, hot topics such as discussing draft laws, urban projects, industrial projects that could seriously affect the region’s ecological balance. Thus, our articles provided analysis not only on areas of purely intellectual interest but also in topics of immediate political and administrative relevance. Although we have not been able to organise offline discussions as many as we have initially proposed, most of the articles published have stimulated lively discussions, some of them resonating in the media and the public space. Even articles discussing subjects of a lesser-present nature, such as state-church relations, the Transnistrian conflict (1991-92), the patrimony of the Jewish community in the post-Holocaust era and others, have sparked living discussions with evident topicality. In conclusion, we can say that this project has fully succeeded and we believe that the impact of published articles and investigations will generate and will further produce an impact on the social, intellectual and political life in the Republic of Moldova, now and shortly. The project’s budget: USD 12.000.